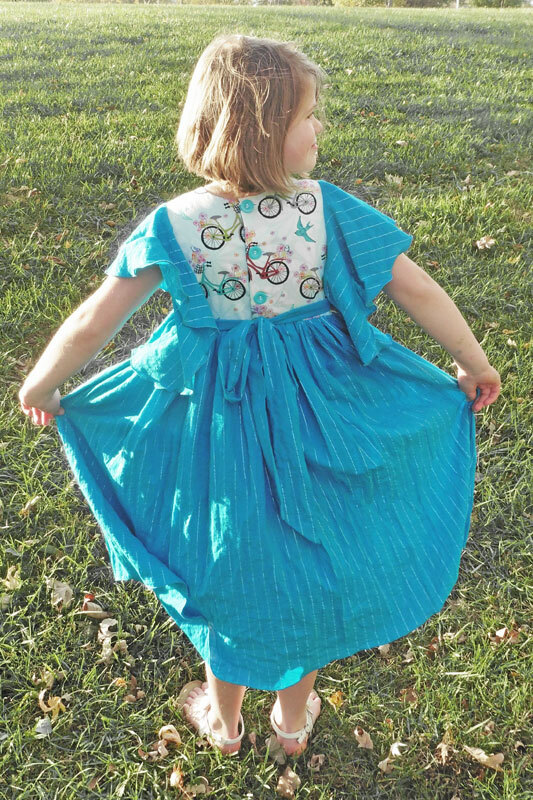 Designer Pattern Swap: M4M Grace Dress – Everything Your Mama Made & More! I was excited this time around to get the chance to sew up a Made for Mermaids pattern, especially since the swap time-frame coincided with my daughter’s birthday earlier this month … two birds, one stone! 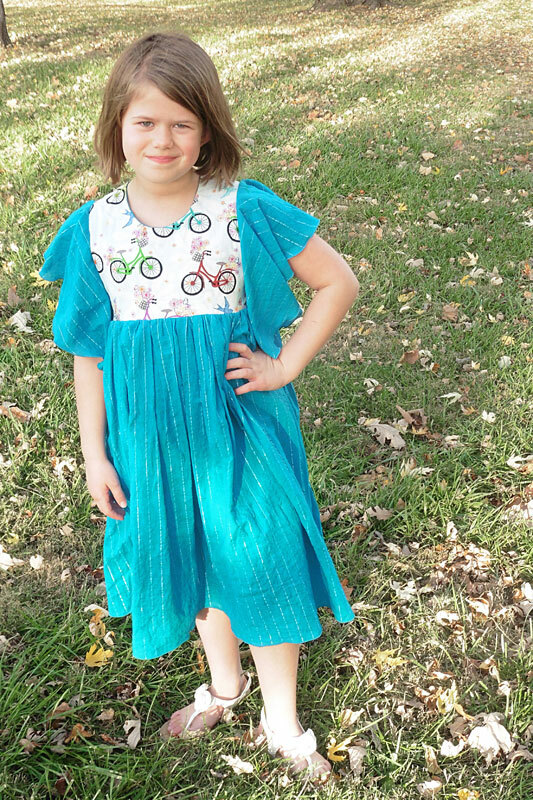 I let her choose which pattern from M4M and my now-newly-turned-8-year-old picked out the Grace Top and Dress because of the large flutter sleeves. She then gave me free reign to choose fabric because she wanted her birthday dress to be a big surprise! I had fun going through my stash to find a fun fabric for the bodice, finally settling on these colorful bicycles (Ashton Road – Adventure from Robert Kaufman). I paired it with a turquoise that has sparkly silver pinstripes. I added a hidden underskirt simply because the gauzey turquoise was a bit on the sheer side, but it was the perfect weight and drape for the Grace Dress‘s large flutter sleeves! The only other change I made to the pattern was to roll hem the skirt and sleeves in order to help maintain the flowiness of the thin fabric. 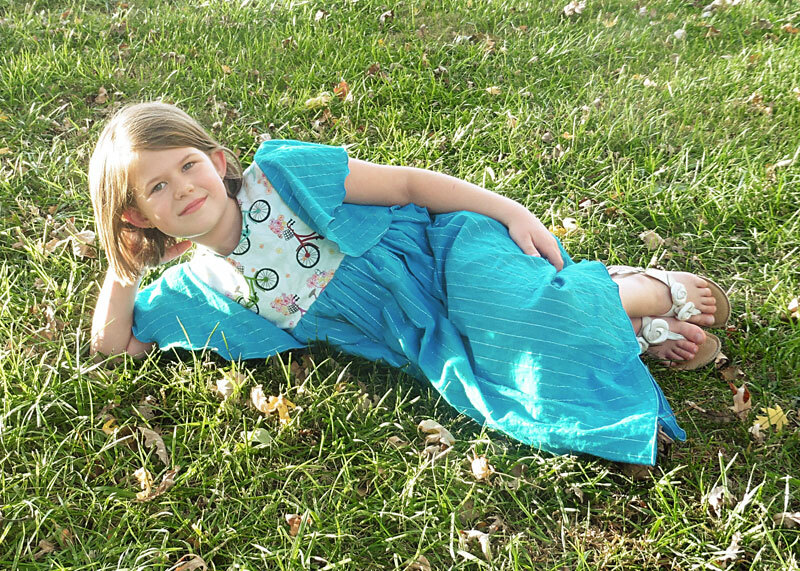 Megan writes a beautiful pattern, including details on how to finish each option of the dress. Other options include a double flutter sleeve, lined sleeves, top length, layered skirt, and a bottom ruffle on the skirt. My daughter isn’t terribly girly, so I skipped the ruffles and double layers for a more stream-lined look. Even without the “extras,” though, Grace is a gorgeous dress! I managed to keep this birthday dress a surprise and she was thrilled to wear it to her party and pose for a few pictures. I truly love sewing EYMM patterns, but it was fun to swap and try out something new and different! 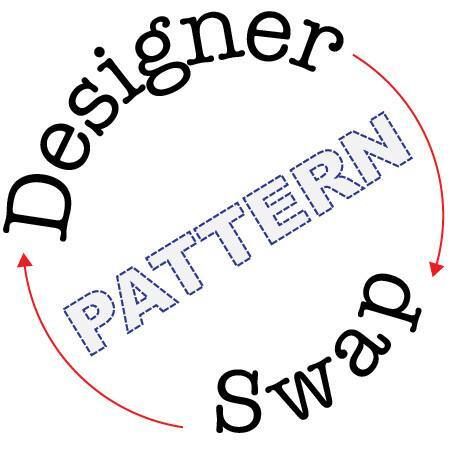 Thanks for the great pattern, Megan! Tomorrow, Chrissy from Muse of the Morning will be sewing up EYMM’s Kenzie’s Party Dress so make sure to check out her blog and the rest of the Designer Pattern Swap posts. During the swap this week, Kymy’s offering 50% off Kenzie’s Party Dress in either size range (newborn-4t or 5-18tween) or the Kenzie’s Party Dress Ultimate Bundle (both size ranges + 18″ doll size). Code expires Nov. 21 at 11:59pm PST. I adore the grace pattern!! Oh Joelle! This is lovely! 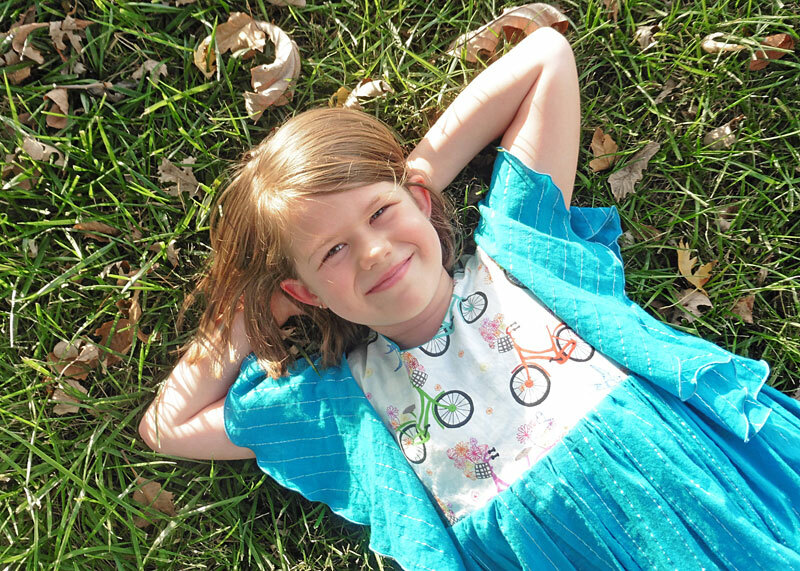 I have seen other versions of M4M Grace Top & Dress before and I must say, I find that yours really sells the beauty of the pattern, especially for older girls. Thanks! I love how it came together just at the right maturity level for my non-frilly 8yo who still loves to twirl!